4k00:08Picturesque view of old windmill with rotating blades in Alblasserwaard polder, Knderdijk, Netherlands. Beautiful drainage system structures. Popular Dutch tourist landmark, world heritage site. 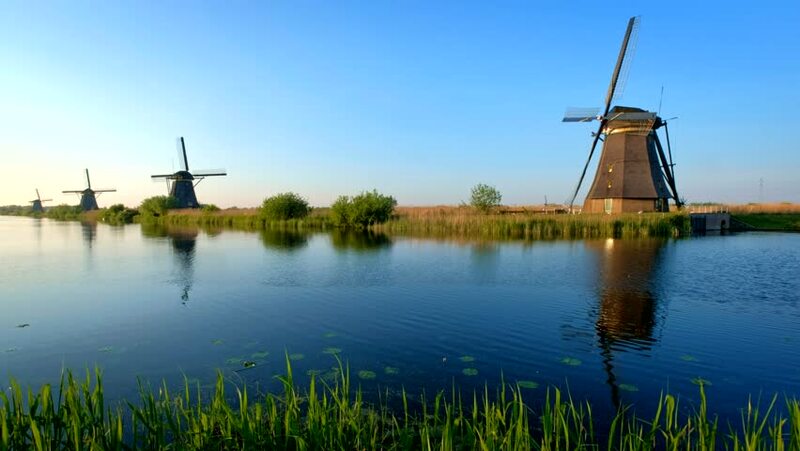 4k00:12Countryside landscape with windmills, canal, wooden pier and reeds slightly swaying in wind. Agricultural land with structures for water level control. Alblasserwaard polder, Knderdijk, Netherlands. hd00:21Wide angle static footage of windmills at Kinderdijk, Holland.